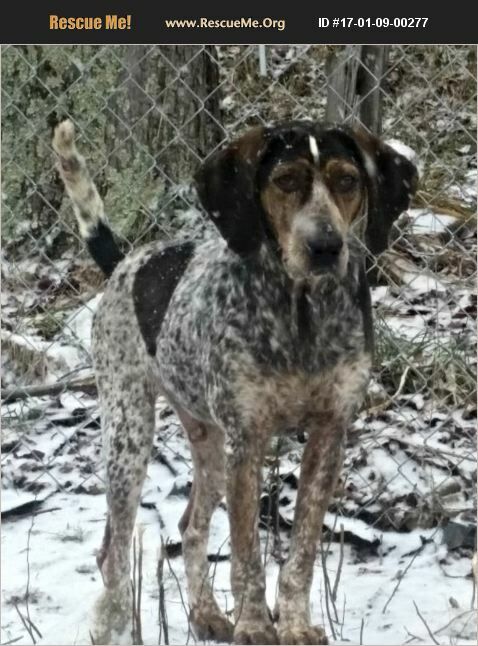 West Virginia Bluetick Coonhound Rescue View other Bluetick Coonhounds for adoption. Meet Winchesterer, what a handsome Blue Tick hound he is. Winchester was one of 13 hounds seixed in Barbour county for neglect......That will no longer be an issue for this handsome hound. He is super sweet, gets along with everyone he's met so far. We just met today so more informatio to come as we get to know each other. Winchester will be vetted soon and then available for adoption. If interested in Winchester, email us at mmadoptios@gmail.com today for an application.